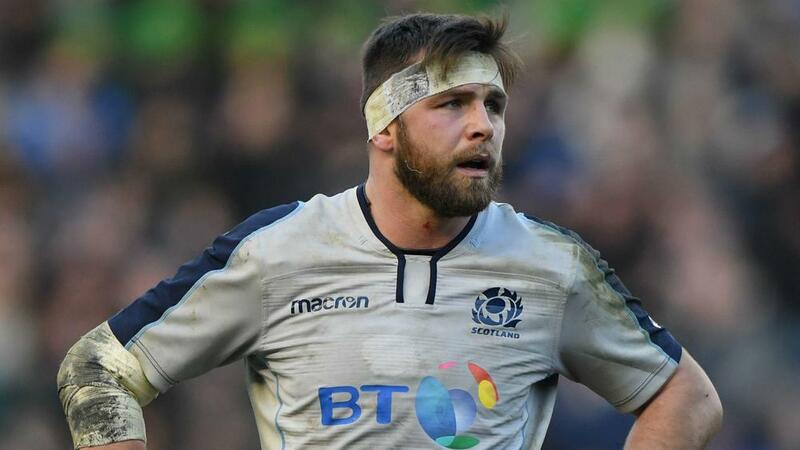 Scotland back-row Ryan Wilson has been ruled out of the rest of the Six Nations after suffering knee ligament damage. Glasgow Warriors captain Wilson did the damage early in the second half of a 22-13 defeat to Ireland on Saturday. Wilson will play no further part in the tournament for Gregor Townsend's side, while full-back Stuart Hogg and centre Huw Jones will be assessed this week. Hogg was withdrawn after only 16 minutes at Murrayfield after damaging his shoulder, while centre Jones sustained a knee injury. Scotland travel to Paris to face France a week on Saturday when the Six Nations resumes following a rest weekend.